Mattel has teamed with nonprofit She Should Run to release new president and vice president Barbie dolls. A ticket consisting of Hillary Clinton and Elizabeth Warren appears extremely unlikely, but the world's biggest toymaker wants girls to get used to the idea of the nation's top leadership consisting of women, announcing Wednesday the introduction of President Barbie and Vice President Barbie. The idea, Mattel said in a statement from its headquarters in El Segundo, is "to inspire girls to become leaders." The new dolls are part of the brand's careers line, "which aims to expose girls to inspiring careers and empowered roles." For the project, Mattel teamed up with She Should Run, a non-partisan organization dedicated to expanding the talent pool of future elected female leaders and motivating more women and girls to explore leadership opportunities. "With just 39 percent of girls saying that they want to be a leader, President and Vice President Barbie will serve as an inspiration for girls to pursue their dreams and imagine what they can become,'' the statement said. 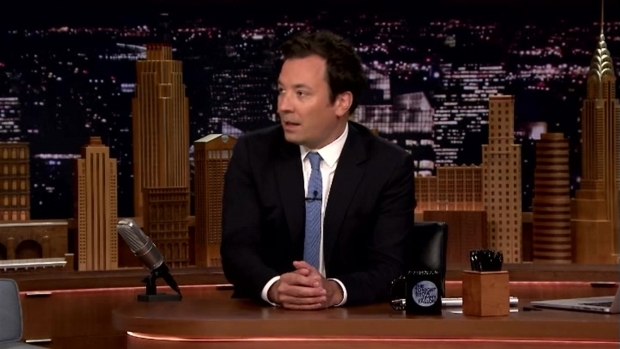 In an effort to make basic math more relatable to kids, Host Jimmy Fallon breaks down arithmetic using pop culture references and notable names. She Should Run noted that women hold only 84 out of 435 seats in the House of Representatives and 20 out of 100 seats in the U.S. Senate. Only four women have been appointed to the Supreme Court, and only 14 women have run for president. This is not the first time Barbie has run for president, Mattel said, but it is the first time that she will be running on an all-female ticket. The dolls are available in a variety of hair colors, skin tones and face shapes and are sold in packs of two. They are available starting Wednesday for $24.99 on Shop.Mattel.com and are rolling out to retailers nationwide. 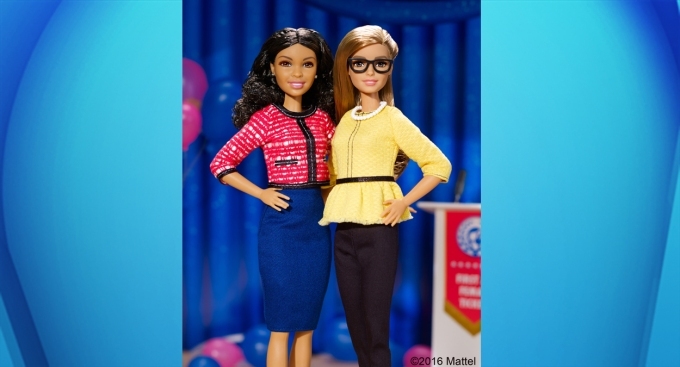 "The President and Vice President dolls continue our efforts to expose girls to inspiring careers that are underrepresented by women," said Mattel General Manager and Senior Vice President Lisa McKnight. "We see this doll set as a timely and topical platform to further the conversation around female leadership. We are proud to partner with She Should Run to help elevate its message and show girls that they can be and do anything."